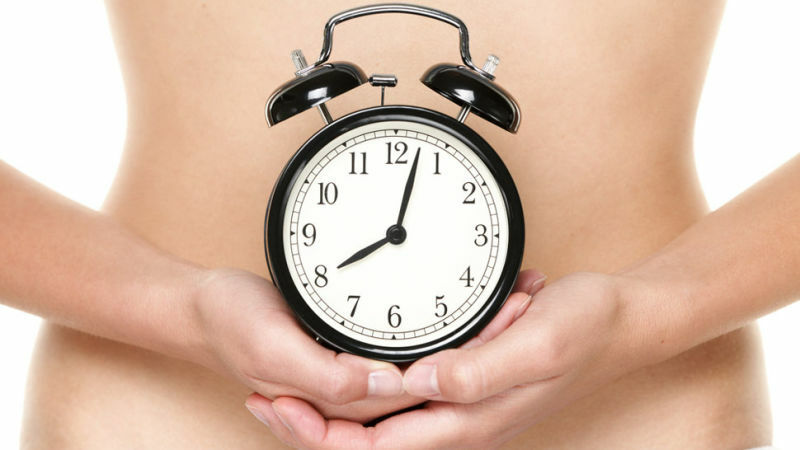 The Biological clock- Is it ticking? You must have heard many say ‘biological clock is ticking’. Did you ever know what is the phenomenon behind biological clock is? Biological clock is nothing but an internal mechanism which controls the rhythm of the activities and rest within 24 hours. Why do we sleep, eat, and wake up, clear bowels at the same time daily? We call it a routine. Basically, it is a Biological clock that has been set to our body over the years. That’s how our body reacts or starts giving us signal at a specific time. A “master clock” in the brain coordinates all the body clocks so that they are in synch. It is nothing but a group of nerve cells in the brain located in the hypothalamus. Two internal systems interact to regulate when we sleep and when we are awake. These systems monitor our need for sleep based on how long we have been awake that’s how it counterbalances with each other. However, because they operate independently, they can become misaligned by external factors as light and temperature, suggesting that they are somehow caused by the external changes. Disruption to daily rhythms usually has a negative effect in the short term. Studies have also shown that light has a direct effect on human health because of the way it influences the circadian rhythms. Research has been finding that the body’s clock is responsible for more than just sleep and wakefulness. Other systems, like hunger, mental alertness, and mood, stress, heart function, and immunity also operate on a daily rhythm. Why the biological clock becomes disrupted in certain people, or naturally with age, is not completely clear. There are many reasons for our body clocks to go out of sync, which probably involves a combination of genetic predisposition and lifestyle choices, such as alcohol consumption. ‘Living out of your suitcase’ is a phrase we often use for people who travel a lot. Constant travelling outside of the country is a prime example of how we can disrupt our own body clock. When jet lag sets in, we feel disoriented, foggy, and sleepy at the wrong times of the day because, after changing time zones, our body clock tells us it’s one time and the outside environment tells us it’s another. In fact, jet lag can be considered one type of circadian rhythm disorder. It can be treated simply by allowing the body to adjust to the new time, although it may take several days for external cues (light) to help the internal clock catch up or fall back with its new cycle. Working in shifts is another example of how we can get ourselves off-routine, and this too can develop into a circadian rhythm disorder over the long term. People who work the night shift not only have a hard time with their sleep patterns (feeling sleepy at work or experiencing insomnia during the day), but other systems in their bodies can also feel the effects and they can be chronic. It’s not clear exactly why this connection exists, but weight gain or metabolic changes may be involved. The heart is one organ that, although it can keep time by itself to some degree, it relies a lot on the brain’s biological clock for cues. For years doctors and researchers have noticed that heart problems like fatal arrhythmias are more likely to occur at certain times of the day. It can occur wither in the early morning and to a lesser degree or in the evening hours. Taking blood pressure medication in the evening seems to improve its effectiveness because it works with the body’s circadian rhythms. Most of us have experienced being more susceptible to getting sick when sleep-deprived. The reason for this appears to be that certain chemicals responsible for immune function, like cytokines, wax and wane throughout the day and sleep deprivation deprives us of their best effects. Body rhythms don’t just enhance vaccine’s ability to provide immunity; they can affect the body’s ability to battle infection on its own. Our internal clocks controls whether we feel up or down emotionally. People with mood disorders like depression, bipolar disorder, and seasonal affective disorder (SAD) have altered circadian rhythms. In fact, sleep disturbances, both sleeping too much and too little, are one of the key symptoms of depression and other mood disorders. The relationship between body rhythms and mood is an intricate one, and it has to do with how the brain chemical serotonin fluctuates in relation to the light-dark cycle and throughout the year as the days become longer and shorter. Paying attention to the body’s natural rhythms is probably more important to our health than we realize. It’s not just sleep deprivation that affects our well-being, but it’s also the alteration of our biological rhythms that can interfere with so many body functions, making us more prone to health problems like infection, mood problems, and even heart disease. But keeping your schedule on track as much as possible is probably the best advice. Avoid disruptions to your eat-sleep cycles. Practice good sleep hygiene, and stick to a sleep schedule that works well for your body to keep the system in its natural rhythm. Turning in a little earlier, cutting back on caffeine late in the day, and saving that last bit of work for the morning rather than staying late up to finish it, can make a big difference in how your internal clock functions and in how you feel. Our clocks influence alertness, hunger, metabolism, fertility, mood and other physiological conditions. For this reason, clock dysfunction is associated with various disorders, including insomnia, diabetes and depression. There’s only so much we can do until our body and its clock are in equilibrium again. So, watch your clock and maintain the rhythm! !